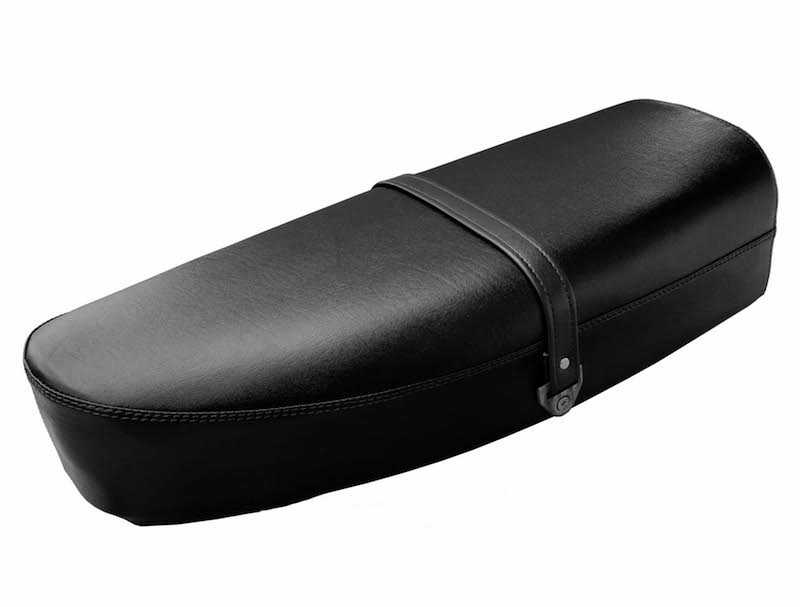 Our classic black seat cover is a great choice for a saddle that has seen better days, and is tailored like the original P200 series seats. 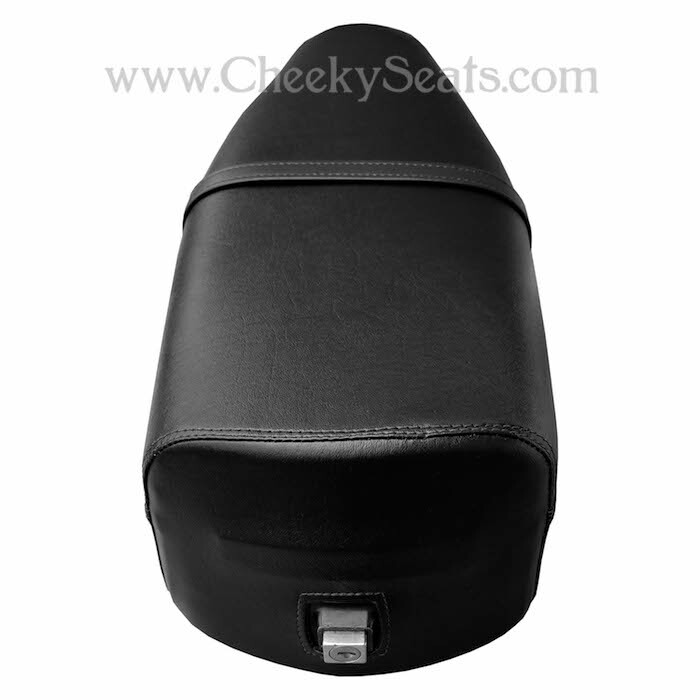 No staples - no cutting holes in the seat cover for your lock - no need to remove your old cover. Our cover will go right on top of your original seat and allow you to get back to what you were doing - RIDING. Our superior vinyl seat cover is waterproof and UV stabilized, meaning it will not fade, and is designed for years of rugged all weather use. We have tailored and reinforced openings for your lock, see picture above. 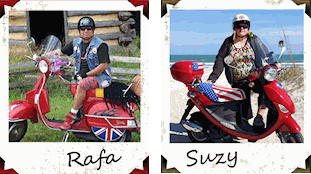 In our picture, we have the seat cover over the Piaggio badge, but you can remount the badge over the seat cover. 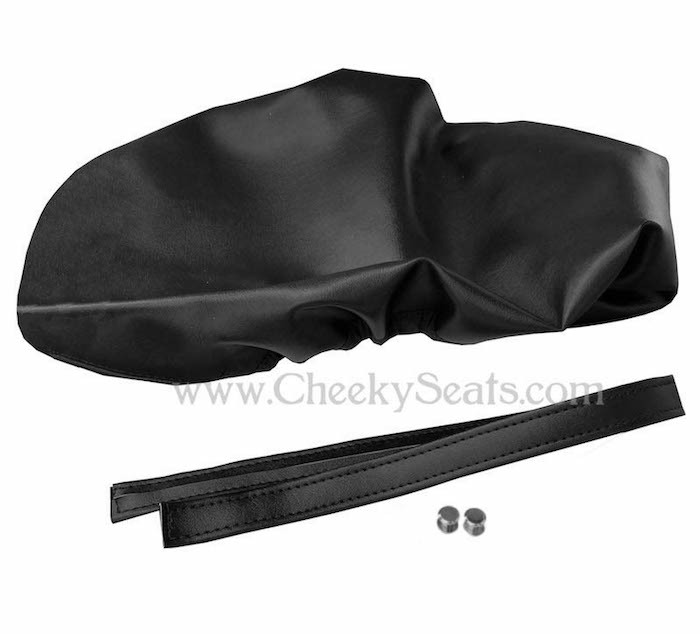 If your original seat has the metal clips you will need to poke a small hole in the seat cover once it is positioned perfectly for the strap hole. Or use your original metal strap ends, poke a hole in the new strap and clamp closed with the screws we will enclose. A photo of what you will receive is above.